Hundreds of people throughout the world are participating in protests in a show of solidarity with the Iranian people who have risen up against the Islamic Republic of Iran’s restrictive regime. 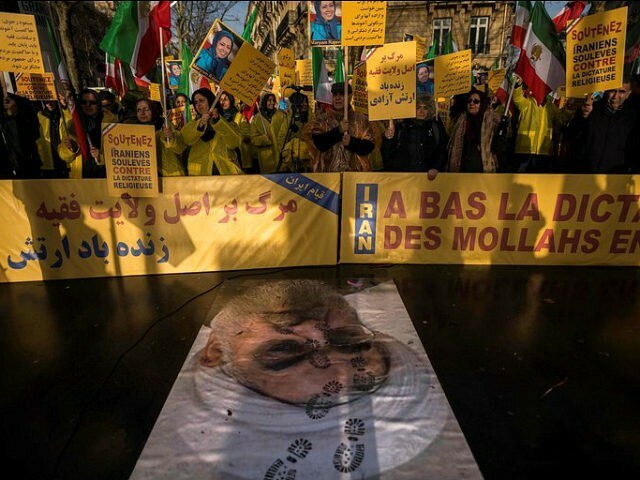 According to the Agence France Presse (AFP), “Some 40 people demonstrated near the Iranian embassy in Paris to call for an end to Tehran’s ‘interference’ in Syria and Lebanon.” Around the same time, approximately 100 protesters opposed to the regime gathered near the Iranian embassy in Berlin in solidarity with the people marching in Iran. In London, hundreds of people reportedly protested outside of the Iranian embassy there. Iranian-Israelis flew flags and stood in solidarity with Iranians by the Western Wall in Israel’s eternal capital city, Jerusalem. A rally is scheduled to take place in D.C. on Saturday, January 6. So far, reports indicate at least 20 people have died over the course of the seven-day protests. Also on Wednesday, General Mohammad Ali Jafari, chief of Iran’s Revolutionary Guards (IRGC), announced the “end of the sedition” of protesting. “Today we can announce the end of the sedition,” Jafari said, quoted on the IRGC’s website. “A large number of the trouble-makers at the center of the sedition, who received training from counter-revolutionaries … have been arrested and there will be firm action against them,” he reportedly said. Breitbart News reported that “Several key advisers to former President Barack Obama have poured scorn on President Donald Trump’s support for the protests sweeping Iran in recent days” and urged him to “be quiet” like Obama had.